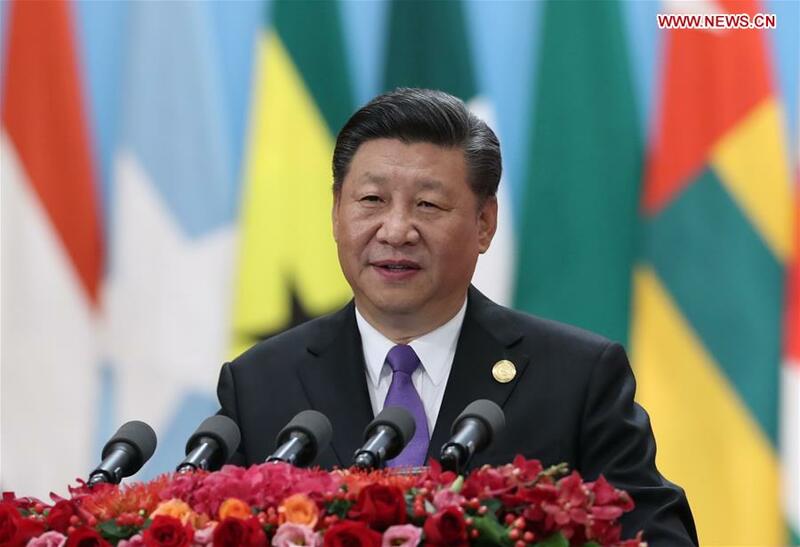 President Xi Jinping on Monday said China will implement eight major initiatives with African countries in the next three years and beyond, covering fields such as industrial promotion, infrastructure connectivity, trade facilitation, and green development. Xi made the announcement in a keynote speech delivered at the opening ceremony of the 2018 Beijing Summit of the Forum on China-Africa Cooperation. On industrial promotion, Xi said a China-Africa economic and trade expo will be set up in China and Chinese companies are encouraged to increase investment in Africa. China will carry out 50 agricultural assistance programs, provide emergency humanitarian food aid amounting to 1 billion yuan (147 million U.S. dollars) to African countries affected by natural disasters, and send 500 senior agricultural experts to Africa. On infrastructure connectivity, Xi said China will work with the African Union to formulate a China-Africa infrastructure cooperation plan and support Chinese companies in taking part in Africa’s infrastructure development by way of investment-construction-operation or through other models. On trade facilitation, Xi said China will increase imports, especially non-resource products, from Africa and support African countries in participating in China International Import Expo. The least developed African countries will be exempted from paying exhibition stand fees, he said. On green development, Xi said China will undertake 50 aid projects on green development, and ecological and environmental protection, with a focus on climate change, ocean, desertification prevention and control, and wildlife protection. On capacity building, Xi said China will set up 10 Luban Workshops in Africa to offer vocational training for young Africans. China will also train 1,000 high-caliber Africans, provide Africa with 50,000 government scholarships, sponsor seminar and workshop opportunities for 50,000 Africans, and invite 2,000 African youths to visit China for exchanges. On health care, Xi said China will upgrade 50 medical and health aid programs for Africa, with a focus on flagship projects such as the headquarters of the African Center for Disease Control and Prevention and China-Africa Friendship Hospitals. On people-to-people exchanges, Xi said China will set up an institute of African studies and enhance exchanges with Africa on civilization. China welcomes Africa's participation in the Silk Road International League of Theaters, the Silk Road International Museum Alliance and the Network of Silk Road Art Festivals. On peace and security, Xi said China will set up a China-Africa peace and security fund and continue providing free military aid to the African Union. A total of 50 security assistance programs will be carried out in the fields including UN peacekeeping missions, fighting piracy, and combating terrorism.